Bracelet in silver bright and solid. Length 19 cm. 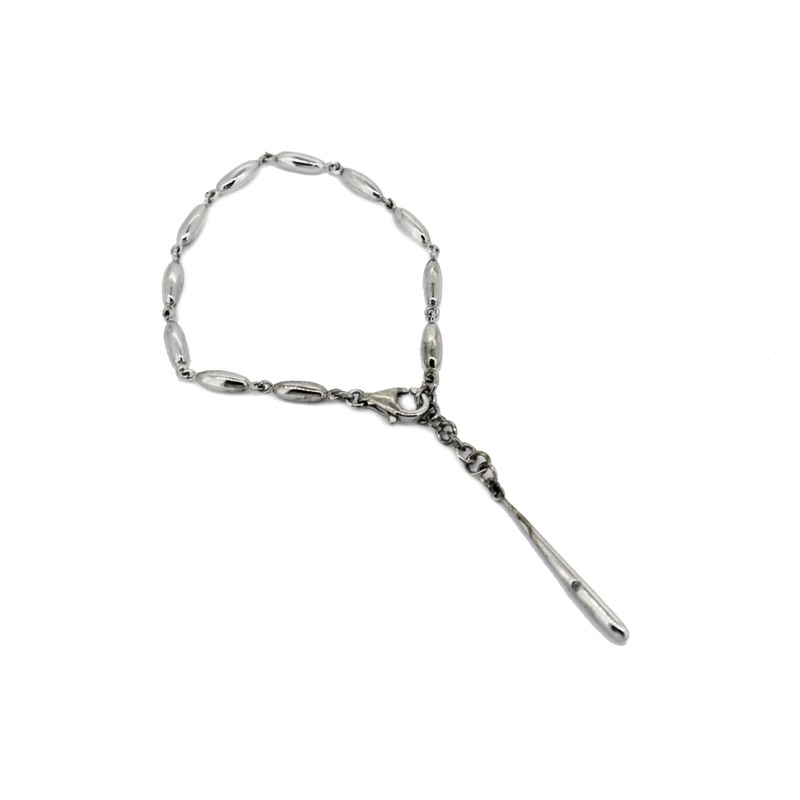 bracelet with locking carabiner and tear pendant in silver with bright. Give you in case the firm quality.